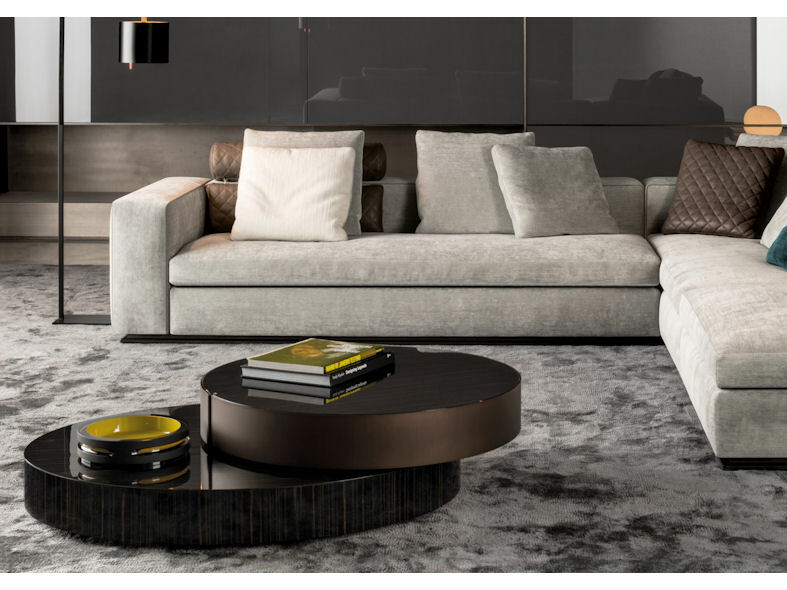 Besnon from Minotti is a stylish occasional table skilfully sculptured and crafted from wood .Sitting directly on the floor Benson’s unusual design features two different sized shapes that overlap, complementing its intended use. 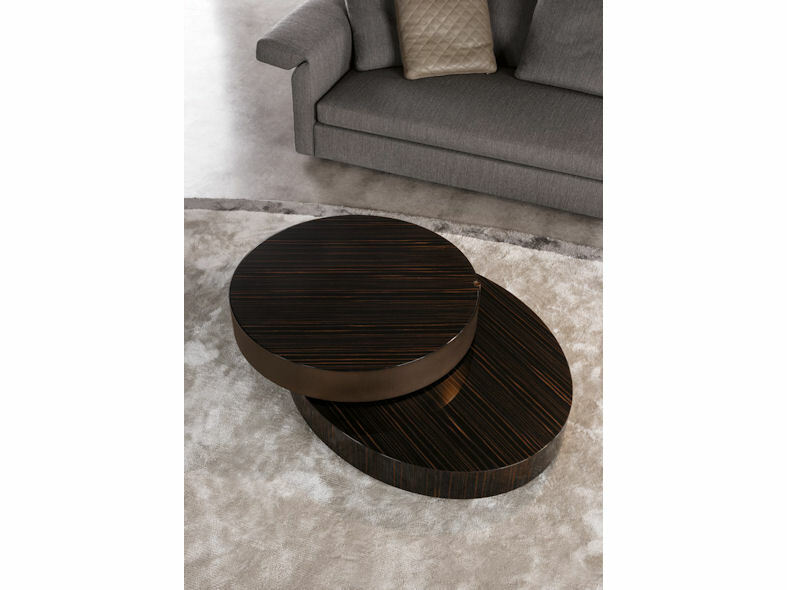 This state-of-the-art coffee table is composed of an elliptical base and circular top and is fitted with a mechanism allowing it to rotate 360° making the table top extendable. 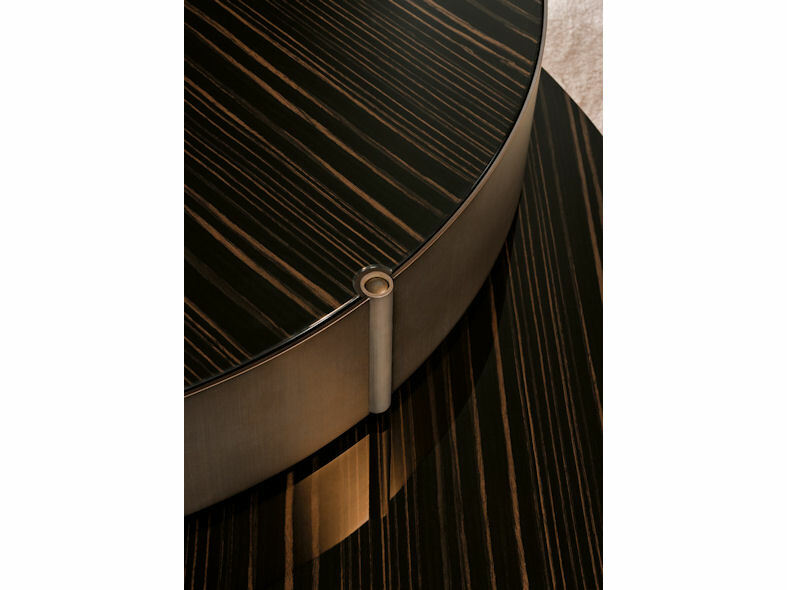 The side table is specifically designed to sit next to an armchair or sofa and is available in two versions, one with a glossy ebony base combined with an upper top in satin-finished bronze metal and the other with a glossy laquered moka base and the top in a glossy gold finish. 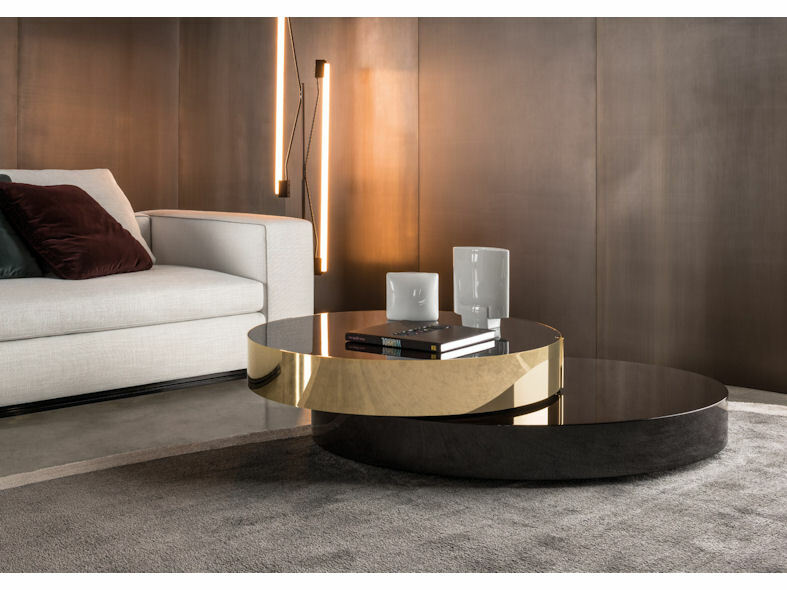 Whatever your choice, the Benson occasional table will add a striking design statement to any room.